Joined by guests Uriah Heep, the veteran UK metal outfit will begin the two-month series in Hollywood, FL on May 3; the run includes multiple nights in several cities and a western Canadian swing before it wraps up in Las Vegas, NV on June 29 (see dates below). 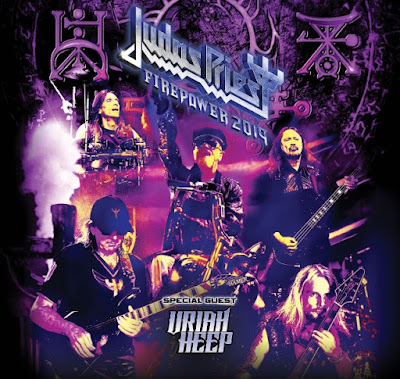 “Metal maniacs - Judas Priest is roaring back to the USA for one more blast of Firepower!,” says the band. “Firepower 2019 charges forth with new first time performances born out of Firepower, as well as fresh classic cuts across the decades from the Priest world metalsphere. Judas Priest will wrap up their 2018 live schedule in North Jakarta, Indonesia on December 7; they will return to the road in January for concert dates across Europea and the UK.